Be Brave, Keep Going: Nintendo DSi At GameStop - Giveaway! 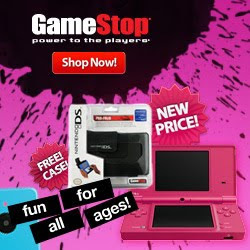 Nintendo DSi At GameStop - Giveaway! If your kids are school aged, then you probably have already heard of the DSi, have one, or your kids are asking for one. If not, check it out. I hear it works great for the older preschool set. The fine folks at GameStop are providing me with a Nintendo DSi to keep and one to give away. Did I mention they are throwing in 2 games with it?! But GameStop isn't "stopping" there (<---see what I did right there?). They are dropping the price to $149.99! If you are thinking about getting one for Christmas presents for yourself your kids, then this is the perfect opportunity to that. Purchasing technology items these days can be costly. Especially when gaming has only gotten more expensive. That's the great thing about GameStop, they offer new and previously owned games and gaming consoles. And did you know that Nintendo offers a variety of educational games for the handheld DS series? Technology and education pack a powerful punch. Have kids who are gamers? Concerned about gaming and kids in general? If you want to join in on the conversation online and connect with other moms about kids, gaming, and how it can promote skills, values, and family togetherness? Then, join me with Mom It Forward at the #gno Twitter party this WEDNESDAY, September 15 from 9-11 p.m. ET (8 CT, 7 MT, 6 PT). Leave me a comment and tell me why you want to win. You MUST provide me with a valid way to contact you, preferably email or blog. And if that isn't enough...check out TodaysMama and enter to win DSi's for the entire family. You heard me right! That's 5 DSi's and 10 games. Disclosure: I am being provided with a Nintendo DSi and 2 games in return for sharing this post with you and joining in on the twitter #gno party. My opinions are my own. I would love to win a DSi for my guy because someone (and I think it is important not to name names here---ahem) may or may not have sat on his and broke the screen. That's all the details I can give, except to say that he has been a champ about it-not making anyone in particular feel bad. But someone feels bad anyway. Thanks for the opportunity to win a cool DSi! I would love to win this because my DD's birthday is just around the corner. What a great gift it would be! ooooh what an awesome giveaway. I'd love to win it for my son! Wow, cool giveaway. We do not have one of these, but it would be great to win one so that when P starts kindergarten I don't have to listen to a whole lot of commentary about how he's the only kid that doesn't have a game system. I would like to win this for my youngest son who is 10. It would be a great Christmas gift. So many amazing things you can do with it besides games - the recipes games... plus I'm a Scrabble freak... I'll be lost in it forever! My boys have been asking for Nintendo DSi's for Christmas this year. It would be fun to win one to stash away and suprise them with. Thanks for offering such a great giveaway! I would like to win a DSi for my daughter so that she doesn't have to have a hand-me down game boy anymore, and so she doesn't have to feel jealous when her friends have DSs and she doesn't. Maybe that's materialistic and selfish, but I had hand me downs as a child, and I want more for her. I would love to have one for our family. A health condition has cut back on my ability to get active with the kids and this could provide a way to connect with them inside with something that THEY enjoy! Thanks for making this offer! I want to win so my family can play Scribblenauts! 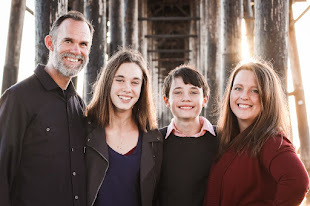 I would love to win for a myriad of reasons, but primarily for my kids. They've gone through a rough patch the past year (their dad moved two hours north) and as a result, they now spend two hours every other Friday and Sunday in the car travelling from home to the next. I would love to win this dsi because my godson would love to play games on it and my twin nephews and twin nieces would also love to play with it. I could get games to help them learn and everything. Thanks so much for this opportunity to win. Oh, oh oh! How cool! I would love to give one to my boy for the long car trips to LA every month... plus he really wants one! Thanks for the awesome giveaway! My kids have been dying to get a dsi. It would be so great to win! I really want one of these for myself (is that bad?) The kids have their leapsters, the hubby has wii and xbox and the oldest kid AND the hubby have ipod touches...I've got nada! This would be the perfect thing for me to play with and get use of especially while I sit and nurse my little man in the wee hours of the morning, evening, whenever...the kid is always hungry!!! Wow! Two of my children have asked for a DSi for the past 2 Christmases, but they just aren't in our budget. It would be so awesome to surprise the kids with one to share! www.gillispiefam.blogspot.com or agillispie@cox.net. Thanks! I would love to win a DSi for my kindergartner - family lives over 5 hours away and this would be perfect for those long car rides!! And... alas, I had one and sold it a few years ago... never thought that she might actually enjoy one!! LOL! I would love to win one of these because this is what my daughter has asked for Christmas. It is the top of her wishlist this year. I would love to win this for my 8 yr old...this is all she has wanted for a while now. She doesn't ask for very much and she would be beyond thrilled w this! I would love to win this so for my DD's birthday next month. She has been saving her own money for quite awhile now to buy one and this would make her year! I would really love to win one for my almost 9yr old son. He has a original DS that was handed down to him from my baby brother who is now 16, so the Ds is over 8yrs old. It's pretty broken down but he still uses it. My son, Aden, totally deserves a new one, he is a total sweetheart. Thanks for giving us this opportunity!! Honestly, my kids are too young for a DSi, but I'd love to give it to my hubby & be the BEST WIFE EVER. Then I'd like to "steal" it from him and play, too! Wow! It would be wonderful to win this for my son for Christmas! Both of our neighbor's sons have one, and my son has been wanting one so badly, but it's just not in our budget. What a great opportunity. Thanks for the chance! My cousin, who is thirteen years old was adopted as an infant. She was a crack baby and has done great in many ways, but still really really struggles when it comes to learning and will probably never make it past an elementary school education mentally. One thing she IS really good at is technology and can do things with technology that I could never do. She has been asking to babysit my 18 month old so she can earn money for the Nintendo DSI!! She comes every other Wednesday afternoon(supervised) and plays with my sweet Joaquin!! She takes it very seriously because she is the 'babysitter.' I would lovvvveee to give her a DSI. Wow! This would be a great present for my hubby:o) We don't have anything like this; and this would be a great way for him to relax! Thanks for doing a giveaway and all your great ideas! We are a family of soon to be six who are tech-challenged! Having a Nintendo DSI would make a great Christmas present for daddy and all the kids! I would love to win one of these for my youngest son so he doesn't have to be at the mercy of his brother and sister sharing their DS's with him. What a great giveaway! I need to win! Pick me! Pick me (hands waving in the air) - My older son got one for his birthday from his grandmother - and now I'm looking for one for my soon to be 6 year old for his birthday! (sharing is NOT an option) Thanks for the giveaway! So generous! Video game could be very addicting but with the right games and positive reinforcement, it could be fun! Thanks for opportunity!! I would like to give this as a present to my eldest son. I would love to win a DSi! I would love to play games on it and then hand it down to my oldest boy when he gets a bit older and then we can hand down the Leap frog to my youngest. My first grader would be so super excited if I won her one of these. I would love for her to have one to keep her entertained on the long trip to Grandmas house. Thanks for the chance! I would love to win this for my daughter's birthday, which is in a couple of weeks. She moons over them every time we go into GameStop for her big brothers or Daddy. Daddy is a PSP fan, but there're not tons of young girly games for them. 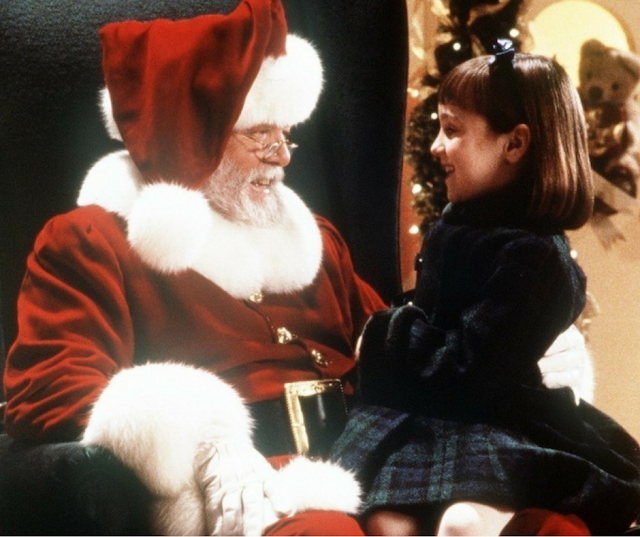 If I won one, then I'd be able to give her what she really wants! My husband's birthday is right around the corner, and he would love one for his birthday! I would love to win this! It would be a perfect Christmas gift for our family. I especially like the brain games that I've played on other people's DS's so that would be fun to have! Thanks! I have to be honest, I want one for myself :) I never spend that kind of money on myself but have always wanted one! I would love to win one for my Pickle & SugarPlum...It would be great for them to have a portable toy like this to entertain them when we travel. On top of that, I would LOVE for them to have it, so that I could have more than 2 seconds of silence during which to regain my sanity (and possibly take a shower, too!)! M is always stealing C's DS and I started thinking I needed to buy her one...but winning one would be even better!!! This is awesome thanks! My son is DYING for a dsi! he said he plans to put it on his christmas list and then ask for games next year...now that is planning!! My daughter has been wanting one of these SO bad!! I would love to make her day!! Awesome Giveaway! I have 4 kids & we are going on a road trip in the next little while. This would be a great distraction for them on the long trip. That would be great gift for my kids for Xmas. My son wants one sssooooo badly and I could't afford it right now. I would love to get this for my son he has been wanting one since he first saw them. thank you for this offer. Would love to have one for the boys can share it while my DD is at dance class. I would love to win this to give to my daughter for Christmas this year-her brother got one for his birthday and she has been begging for her own. Her birthday is Dec. 26th so it's always hard to manage gifts for both days! I would LOVE to win a DSi for my kiddos. With hubby being out of work for over a year now this holiday season money is really tight. My kids would love to share one of these and I would be grateful to be able to give them such a great gift. What a neat giveaway to be able to share. Gotta love GameStop! I would like to get one because it's an awesome system! Wow, what a super give away! Santa would love to give one to Little J for Christmas! With 5 monkeys I would love to be able to reward good behavior, effort and other things with a little fun down time. Simple Dimple!! Love that! I know my six year old would LOVE to have one. We aren't ones to drop that kind of money very quickly. She's trying to save her money but poor thing never gets very far. I would love to win a DSi for my youngest son because his older brother has one and he seems to always get the hand me downs... I would love to be able to give him his own new one! Selfishly, I don't want it for myself or my kids but for my class. Do you know you can get some fabulous educational games for it. It would be a great incentive to use for kids in my class who are motivated by gaming. Would love to win this for my husband! He enjoys all things electronic!! My 7 year old's birthday is coming up. Fingers crossed. It would make a great birthday present for my son. He loves games and Game Stop. My brother-in-law would love to have one! So would I, but I'd give it to him for his birthday (maybe Christmas...). My son's been wanting a DSI for 6 months. All of his friends have one It's time, he's 7!!! I would like to win a DSI for my kid so he will be happy and would take good care of it. He especially loves having a ds on car trips! I would love to win one for my oldest daughter (she is 12) We have 4 children and this is not an expense we can afford for all of them right now...We want for our oldest 2 kids to have some type of portable gaming and the DSi is what they have been *begging* for. Thank you for this awesome opportunity to win one. I would love to give this to my 5 yrs old from santa! She has been asking for some time so she has something to do when we go on long trips to MA! Her other sisters are too small and sleep most of the way. I would love to win this for one of my 5 kids for Christmas! I would love to win a DSi for my daughter. She has been wanting one for her birthday (coming up in November) - and this would be a great surprise for her. I want to win because it would be a great christmas gift for my 11 yr old son! Thanks for the giveaway! I would LOVE to win this, my son has been asking for one forever! I'll probably still have to buy another one for his sister, but that's okay! I would like to win this for my son because he would love me to death if I gave him one, lol! I would love to win for my almost 4yr old dd! She loves to play wit dad's and big sis' and they are not so quick to share with her lol. Thanks for a great giveaway! I had a DSi once, but somehow it got in a pair of my jeans before a wash. I only had the thing for about two weeks, and I've been sad about the situation for some time. If I win I'd add this to the items I hope to raffle off on my site in an attempt to meet my fundraising goal for my breast cancer walk. I've got a long way to go and not a lot of time. I would love to win one for my older preschooler...we are just getting in to games & I would love to play with him! My daughters would LOVE to win this, they've been making "DSi"s out of paper to pretend they've got one! Thanks for a great giveaway! I would love to win this for my daughter. This would be a great surprise for her for something she has been saving for a long time. I would love to win the DSI for my son and gradson. My son is a youth pastor and he has gaming days with his youth group. Everyone brings their game system, so if my son had one he and his son could play . That would be so awesome. I would love to win it for my daughter. She is having a hard time gong back to school, and something great like this might help her. I would love to win this for my kiddo! He's been having a tough time with older family members always getting the new things and this would so make his day! Thanks so much for having this giveway! My 7 year old would love this! This would keep him occupied on car trips. My son's birthday is 3 days after Christmas so this would be perfect to be able to know I have an awesome present for him and not have to think about it while getting on with the holidays. My son is just getting to the age that he is asking for a DS for Christmas. His cousin has one and they love to play together when he comes over. I would love to win this for my nephew. I think my husband would have a hard time letting go of it. We might have to play with with a little first. I would love to win this for my hubby. He travels a lot for work and works so hard to provide for our family and it would be such a nice surprise to give something to him to show how grateful we are. He could use this to pass the time while waiting at the airport or on long flights and I think he would love it. Thank so much for the chance! I would like to win this so I can get my iPhone back! SOMEONE likes to play games on it! If I win this DSi, I will donate it to the low-income school that I work at and use at as one of the awards for our reading campaign we are kicking off in the next few weeks. I am a reading/language arts intervention teacher and the kids would LOVE to have one of these neat toys with learning games to play with as a reward for a great job on their reading and school work. It would go to one of the top 5 readers in the school! Or another idea would be to allow kids that I work with be able to use the DSi for an educational game for 5-10 minutes after they do a great job on something we were working on! Thanks so much for offering such neat giveaways! I know we all love them so much! I think this would be a great gift. My daughter's birthday falls just before Xmas so we are always trying to make the best of both worlds (and on a budget too.) As an only child she gets carted along on errands with me a lot, so having a hand held game device that isn't my phone just screams "genius!" Wow! This would be awesome to win. I'll save it for an extra Christmas present for this December, the kids will go nuts for it! :) Thanks! I would love to win this for my fiance, he is so wonderful and works really hard at his job that requires a long commute via train and bus. I want to win this to give to him as a gift he truly deserves to distract him from endless chatter of fellow passengers. What an amazing giveaway! My daughter would love a DSi for Christmas. I would love to win!! My son is an AVID gamer! He got a new game for Christmas last year and dropped it into the toilet (I won't go further into the hows..lol). He got a new one for his birthday and unfortunately it was broken by a child at daycare. So he has been asking and asking me for MONTHS for a new DSi. Since I recently separated, a new DSi is just not in the budget. He would be ecstatic to get a new one! My daughter has been begging for one of these!!! It would be great to win it for her since money is tight. I would love to win this for my granddaughter. She is almost 7 and has been such a good girl! My child asked for one of these last year but we just couldn't afford it. Hoping to win! My daughter Bailey would be so excited to get one of these!! My kids would love to have one of these! It would also make the car rides easier! !